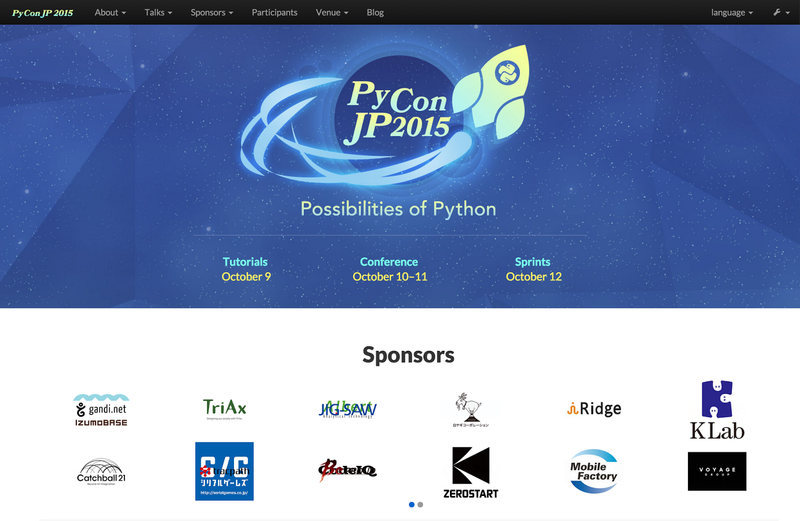 The annual PyCon JP 2015 will be held at Plaza Heisei in Tokyo. The schedule is as below. We are currently seeking proposals for talks for this event. Visit the PyCon JP 2015 Call for Proposals page for more information. Submission deadline is 15th July. As with every year, we are expecting many international participants to the event, so English talk proposals are absolutely essential. We plan to make at least one out of three talk tracks fully English. This is your chance to introduce the topic you love to Pythonistas in Japan! For more information visit our official website. Any questions and comments are welcome, email to us (2015 at pycon dot jp).